It’s a big weekend in Ladies Club Football as the All-Ireland semi-finals take centre stage. On Saturday Monaghan’s Aghabog take on Dunedin Connolly’s from Edinburgh in the first Intermediate semi-final. St. Brendan’s from Galway play Dublin champions Clontarf in the second semi-final on Sunday. Also on Sunday the two senior semi-finals take place with Foxrock-Cabinteely the Dublin champions playing Monaghan’s Donaghmoyne and Kilkerrin-Clonberne from Galway, who defeated the All-Ireland champions Carnacon in the Connacht Final, face Cork’s Mourneabbey in the other semi-final. In the Junior Carlow’s Old Leighlin play Sligo’s Tourlestrane and Tyrone’s Trillick take on Cork’s Glanmire. 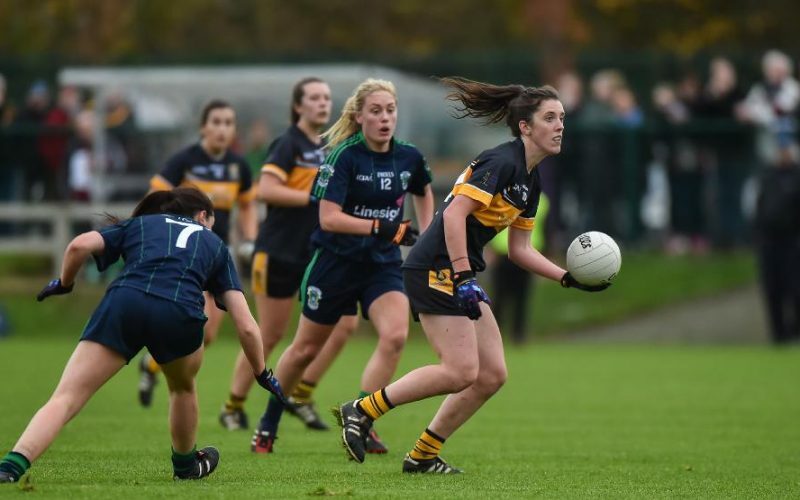 On this week’s Sportsgirls Podcast our football expert Diane O’Hora and our guest Tyrone star Gemma Begley spoke about the club championships and how success for the clubs augurs well for their counties. Have a listen to this week’s podcast.